There are certain app genres that tend to have a larger population on iTunes than others; games is a great example. This is definitely the case for photography apps as well and I suspect that that the same can be said for other app stores for camera-equipped devices. While this is a good thing for the consumer, this makes standing out very difficult for developers of these apps. In order for an app to really be noticed, it has to go above and beyond just doing one thing well. If you've ever had to take a self portrait or a photo with a loved one and didn't want to use the "extended arm/birds eye" shot or the "this is me in my bathroom, please excuse the dirty laundry and/or child in the background" shot, then this is a nice app to have. Self Timer is a very well designed app which does exactly what the title implies. Self Timer gives you the option of setting a timer for three, five, ten or fifteen seconds. You also have the option of having one to four photos taken (just in case you accidentally close your eyes for one shot). You can start the timer by clicking the increase volume button as well as the camera icon in the center of the screen. When you start the timer, you hear a single beep each second to alert you to the countdown and then you hear a double beep to let you know the photo is about to be taken. The interface is mostly well thought out and the use was obviously tested thoroughly, though you will notice that when you turn on all of the features the screen gets a wee bit crowded. When you first launch the app, the four options that are default area clearly understandable as to what they do. However, the four flash options are not easily recognizable as to what each one does. I would have preferred to see some hover text or help system as to what each item was. Self Timer also gives you a couple nice features you can turn on, some of which are more useful than others. The sight and the guides are very useful and something that is becoming standard in camera apps. 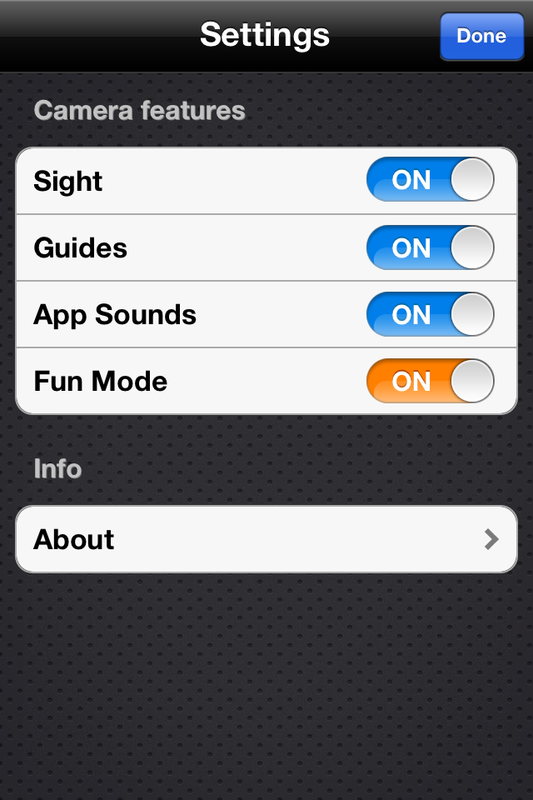 There is also a "fun mode" which changes the standard beeping to a set of more silly sounds. I can see where this might be fun if I was younger or had children, but I think users who are teens and older probably would want to use the regular beep sounds. 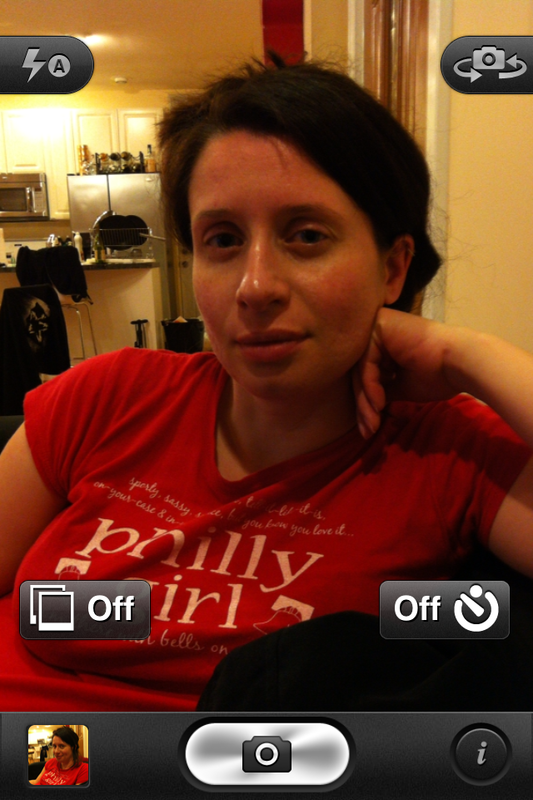 Another set of features that is becoming standard in camera apps is sharing and Self Timer includes these as well. In the camera roll view, you can choose to email, print or send to your Facebook, Twiiter or Flickr account. The one thing that did irk me a bit about the camera roll view is the lack of "next/previous" swipe functionality. After shooting several photos of my wife, I would have liked to be able to swipe to the next photo but that wasn't available. use them all at once. All in all, this is a nice app and well developed. I struggled with how I was going to rate this because by itself, it easily deserves four out of five. There are a few minor things that I would like to see improved upon but those are minor. The problem comes down to features versus price in comparison with what else is on iTunes now. 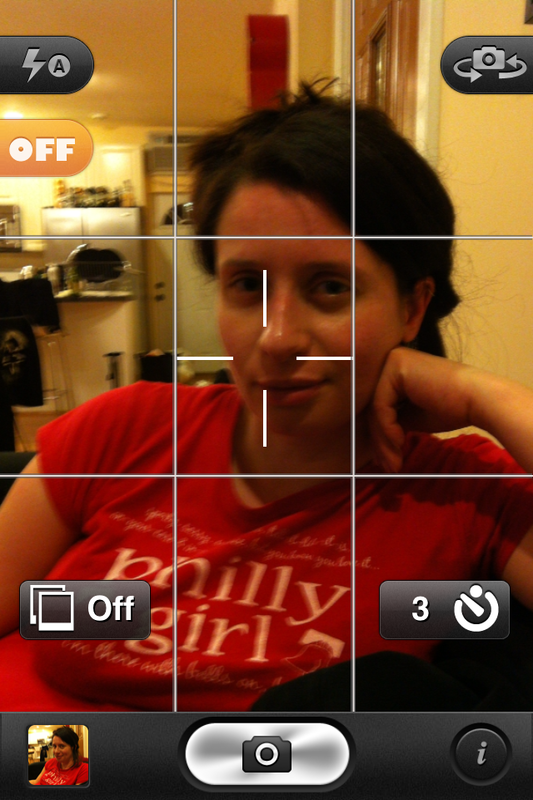 A quick search of top Photo & Video apps that have a timer reveals a ton to pick from. Granted, they may not all work as well as Self Timer but that's still a lot of competition. Given the fact that most of the more extensive camera apps are also priced at around $0.99 (or have had recent sales) and offer many more features than Self Timer, I had to give it three and half out of five. If you want an app that does a photo self timer well, then I'd suggest getting this app. However, if you're not interested in owning a ton of specialized apps and would rather just have one or two that handle all of your camera needs, then you might want to think twice.